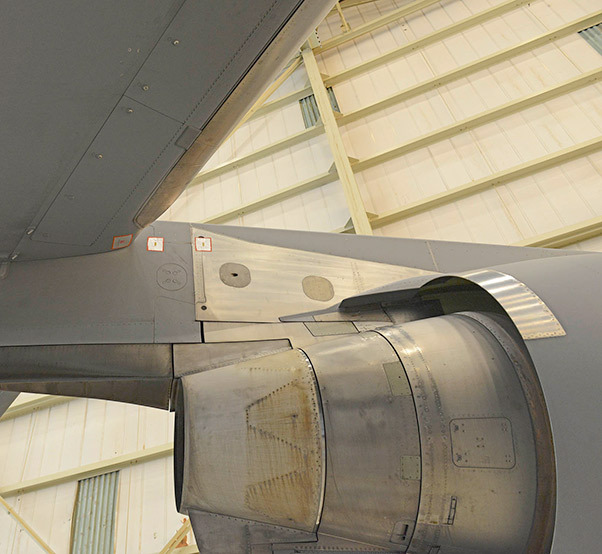 The first phase of C-17 Drag Reduction was completed in March. The testing consisted of putting six Finlets on the aft part of the fuselage. A C-17 on loan from Joint Base McChord-Lewis, Wash., is the test plane for the program. With three finlets on each side, test sorties were conducted to see how the C-17 performed with the modification. From testing synthetic biofuels to “vortex surfing,” Edwards Air Force Base, Calif., is on the forefront of finding new ways to cut fuel costs for the Air Force. The latest venture is currently underway at the 418th Flight Test Squadron where a test team of Air Force and Boeing personnel has just completed the first phase of Air Force Research Laboratory’s C-17 Drag Reduction Program. According to an AFRL study, the price the U.S. Air Force pays for jet fuel has quadrupled between 2004 and 2012. At the same time, the demand for personnel and equipment to be transported around the world has increased. Airlifters like the C-130, C-17 and C-5, use most of the Air Force’s fuel; 70% in 2012. Of these cargo planes, the C-17 uses the most fuel. 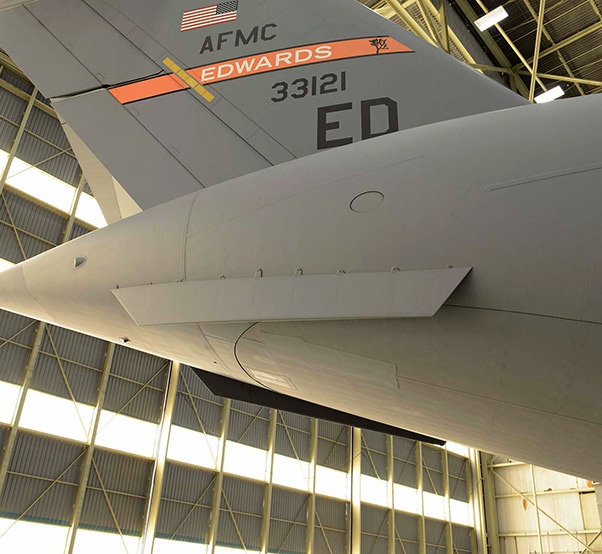 The purpose of the C-17 Drag Reduction Program is to collect data on how airflow is affected with different modifications done to a C-17 Globemaster III. The modifications are scheduled for different phases using Vortex Control Technologies Finlets (TM) and Lockheed Martin microvanes and fairings. The ultimate goal is to see which, if any, modification reduces drag and thus, reduce fuel consumption. The next phase of testing for C-17 Drag Reduction will add eight more Finlets to each side of the C-17 for a total of 16. The strakes, which are on the bottom of the aft of the C-17, like this one pictured, will be removed. The first phase consisted of putting six VCT Finlets on the aft part of the fuselage. 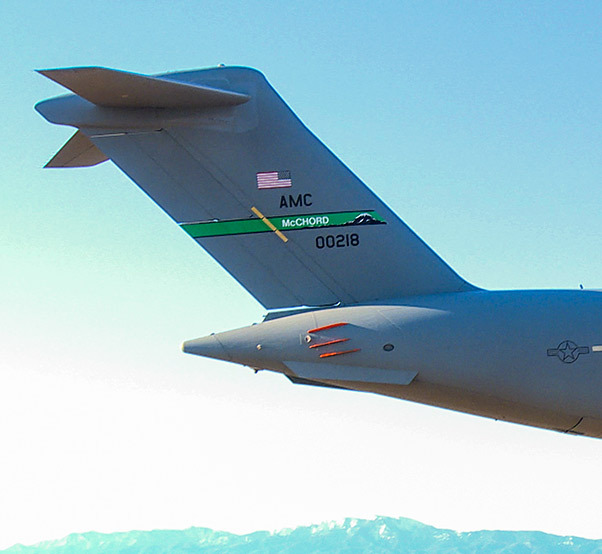 The test aircraft for the program is a C-17 on loan from Joint Base Lewis-McChord, Wash.
Test sorties for Finlets 1 configuration were completed in March to determine how the C-17 performed with the modification. Although the goal is to reduce fuel consumption by increasing airflow efficiency and reduce drag, it has to be done without negatively effecting what the C-17 can do now. 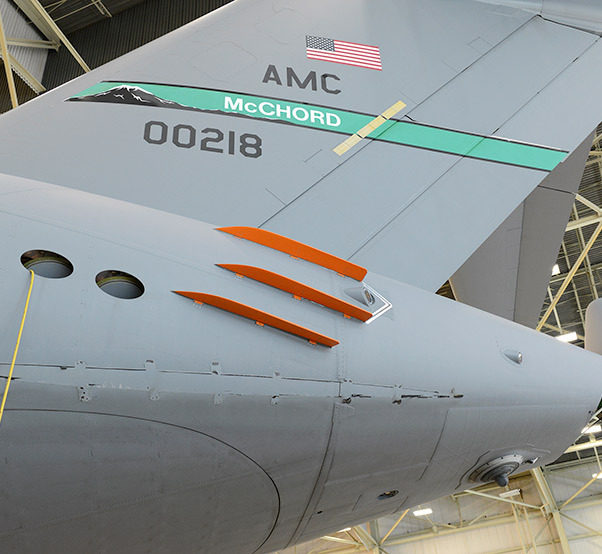 The next phase of testing ahead will add five more Finlets to each side of the C-17 for a total of 16 Finlets. The strakes that come on production C-17s will be removed to make room for the additional Finlets. In the third phase of testing, the Finlets will be removed and six microvanes will be placed on each side of the aft fuselage. “The Finlets are similar to the strakes, only smaller and attached in greater numbers to the airplane. The microvanes are even smaller, similar to small plastic blades,” said C-17 airdrop engineer Nhan Doan. In the third phase of C-17 Drag Reduction testing, the Finlets will be removed and microvanes will be placed on each side of the aft fuselage. The fourth phase will see fairings attached to locations on the wings near the engines and winglets. Pictured above is a fairing (top) and a microvane. 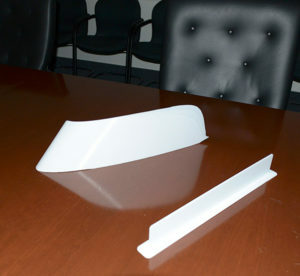 These are produced by Lockheed Martin with a 3-D printer. The fourth phase will see fairings attached to locations on the wings near the engines and winglets. All these different structure modifications manipulate the airflow around the airplane. During computer simulations, spots on the C-17 were identified that showed where drag could be reduced. The flight tests here are the final stage of AFRL’s program following computer simulations and wind tunnel tests with a scale model. 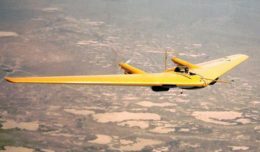 The data collected will be sent to AFRL at Wright-Patterson Air Force Base, Ohio, to see if any of the modifications increase streamlining and reduce drag. After that, Air Force leaders will ultimately decide whether or not any of the modifications should be implemented throughout the C-17 fleet. Testing is scheduled to be completed this October. The fourth phase of testing for C-17 Drag Reduction will see fairings attached to locations on the wings near the engines. During computer simulations, “hot spots” on the C-17 were identified that showed where drag could be reduced. A frame taken from a video from a chase plane shows the Finlets in flight during a test sortie.